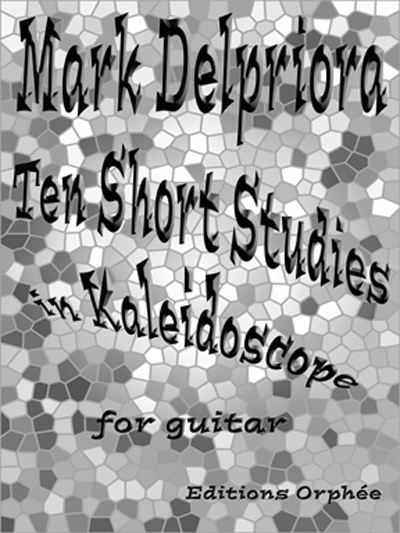 "The composer says: The title of the “10 studies in Kaleidoscope” refers to the wide variety of styles and various techniques contained therein. Like a rotation of the kaleidoscope, with each turn of the page the guitarist will encounter something different to entertain, amuse and consider. These studies were written not only for the student in need of fresh material that deals with traditional technical and musical problems but also for the diversion of more advanced players, who can perhaps spot the specific stylistic references and for whom this collection may also resemble a pleasant afternoon of cloud-gazing. Q: Are they available in pdf? Currently this piece is not available as a PDF download.